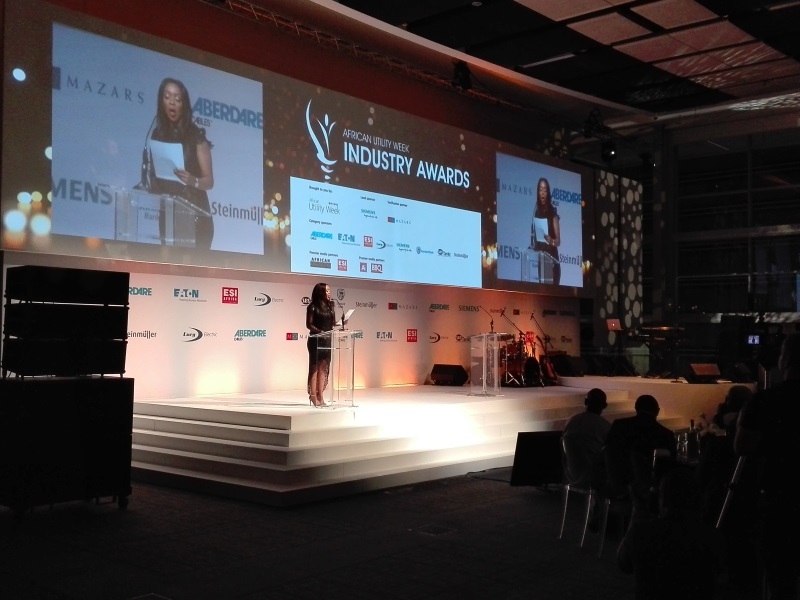 The power and water industries on the continent have responded with enthusiasm to the latest call for nominations for the sixth edition of the annual African Power, Energy & Water Industry Awards that returns to Cape Town on 15 May 2019. During the gala evening pioneering utilities, projects and people in the energy and water industries on the continent will once again be celebrated for their achievements during 2018/2019. Previously known as the African Utility Week Industry Awards, the new branding reflects the recent co-location of the POWERGEN Africa exhibition with African Utility Week. Power and water professionals can nominate themselves or a colleague, project or organisation by completing the nomination form on the African Utility Week and POWERGEN Africa website. The Lifetime Achievement Award is presented to an individual for prolonged and consistent achievements who has made a significant contribution to the development and future of the energy or water industries during his or her entire career rather than or in addition to a single contribution. The nominee can be from a utility, public or private company and should be someone who has helped to achieve strategic advancement of the sectors by proactively sharing knowledge, encouraging the adoption of new technologies or establishing exemplary financial governance practices. This individual is well recognised across the globe for their influence and insight into the energy or water sectors in Africa. This award celebrates the accomplishments of an individual in a senior position from a utility, public or private company who has displayed passion and commitment to the power industry, while also demonstrating leadership, vision and success. This award celebrates the accomplishments of an individual in a senior position from a utility, public or private company who has displayed passion and commitment to the water industry while also demonstrating leadership, vision and success. This award recognises a person under the age of 35 from a public or private company who has made an outstanding contribution to the energy or water sectors. This young professional has had commendable career achievements to date and is already playing a leading role in their sector. This award recognises a power service provider (such as a utility) in Africa that has excelled in any one or more of the following fields: Service delivery, project roll-out, technology roll-out, revenue protection measures, loss reduction, grid integration and new energy sources, including company contribution to sector growth, demonstrated expenditure reduction, increased capacity to deliver services and revenue collection, completion of infrastructure development or sustainable maintenance projects. This award recognises a water service provider (such as a utility or municipality) in Africa that excels in any one or more of the following: Service delivery, project roll-out, technology roll-out, revenue protection measures, loss reduction, water quality and sanitation solutions, including company contribution to sector growth, demonstrated expenditure reduction, increased capacity to deliver services and revenue collection, completion of infrastructure development or sustainable maintenance projects. This award is for a project completed by an African utility, off-grid producer, IPP, government or investor between March 2018 and February 2019. This award is for a sustainable energy project providing electricity for either a commercial or rural electrification setting that was connected between March 2018 and February 2019. The new co-location of POWERGEN Africa in 2019 will add an expanded focus on generation, including renewables, off grid, fossil fuels and nuclear, while still concentrating on transmission, distribution, metering, new technologies including storage, mini grids, micro grids, IOT and ICT systems, as well as water. Along with multiple side events and numerous networking functions African Utility Week boasts a five track strategic conference with over 300 expert speakers. An extensive Knowledge Hub programme that is CPD accredited and free to attend, offers hands-on presentations taking place in defined spaces on the exhibition floor. These discuss practical, day-to-day technical topics, best practices and product solutions that businesses, large power users and utilities can implement in their daily operations.